Running on the Bolivar Peninsula. Best places to run Bolivar Peninsula. A quick ferry ride from Galveston to sort of a different world. The highlight is 27 miles of beach shoreline. The center of the peninsula is Crystal Beach, which is where most of the area’s development is located. The Peninsula has a laid back vibe, with no big developments or chain stores. 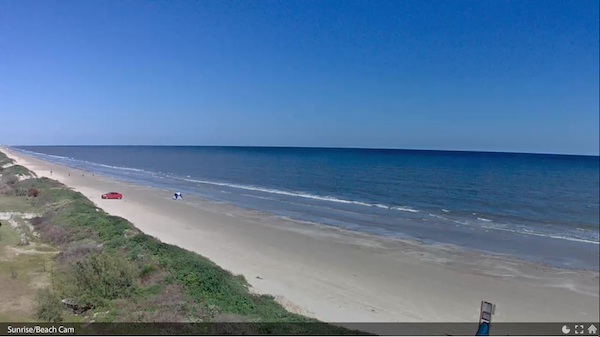 The highlight of running on Bolivar Peninsula is the beach, of course. The long, continuous beach is very pretty, and generally features firm, packed sand. It’s also fun to take a run in and out of the residential side streets, most of which are concentrated in the Crystal Beach area. Notice how most of the homes are elevated, as [some] protection from the storms and hurricanes that buffet this area.